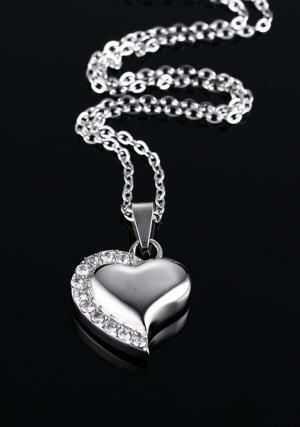 Heart cremation jewellery urn is manufactured by our professional jewelers and stainless steel quality metal is used to build. 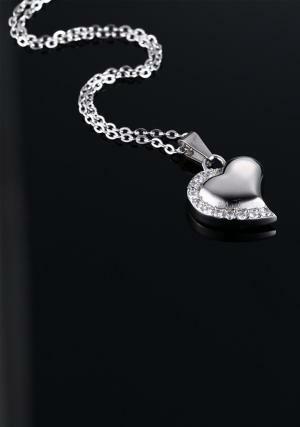 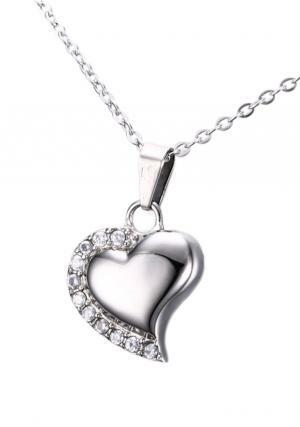 Pendant urn comes in the heart shape and the white crystals are inserted on one side which adds elegant look to wear. 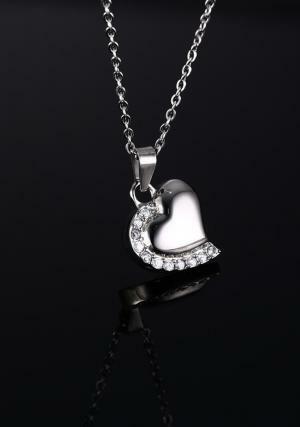 Pendant measures 18 mm of size and available with the 50 cm long chain. 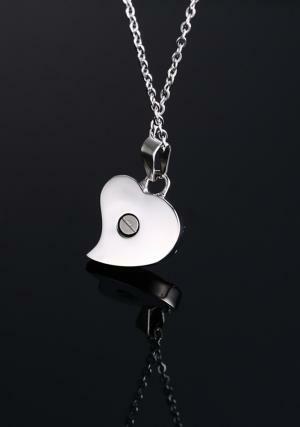 Opening has from backside of the pendant to fill the 1.1 cubic inches of ashes.